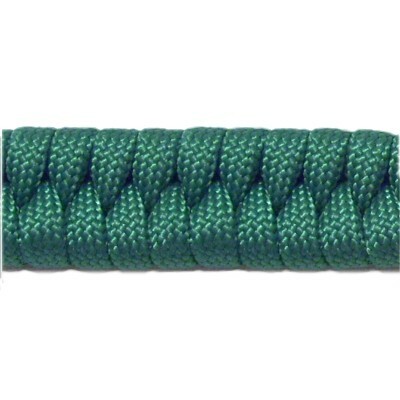 Description: The Switchback Strap is made by weaving the working end of a cord back and forth around a long loop. 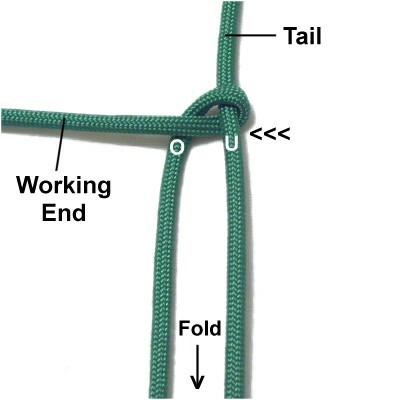 It's very easy to tie and is a great knot for kids who are learning the process for tying decorative knots. This type of sennit can be used for jewelry projects, belts, straps for purses, leashes and collars, and many other Macrame projects. 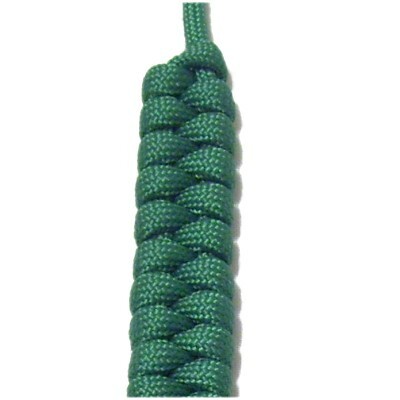 I found this design on Fusion Knots. 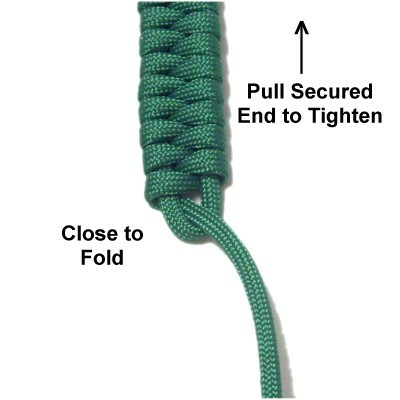 The video gallery contains tutorials for many interesting knotting techniques and designs. Preparation: To practice, you need one cord at least 60 inches long. Secure one end to your board vertically. When making something with the Switchback Strap, the length of the cord should be at least 15 x the finished length of the item you are making. Step 1: Make a clockwise loop 5 inches long, so the crossing point is at least 2 inches from the secured end of the cord (tail). 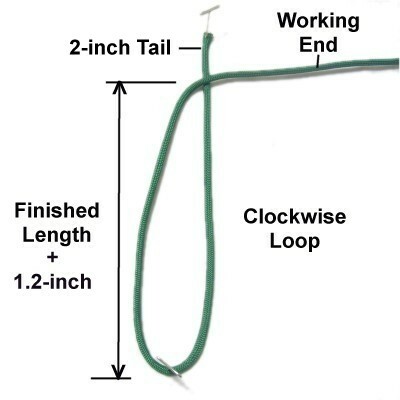 When using this technique for a project, the loop should be the finished length+ 1/2-inch. Important: Adjust the crossing point of the loop to make sure there is enough material in the tail for what you are planning to do with it. You only need 4 - 6 inches to use it as a clasp for a bracelet, but a belt will require more length. Keep in mind that you will pull the secured end to tighten the strap, which will make that segment longer. The reason you add 1/2-inch to the loop is to take into account the compression of the strap when it's tightened (it will shorten). Step 2: Move the working end to the left, passing under - over the two sides of the loop. Securing the loop at the fold (with tension) helps make the strap look neater, so do that now if it's not already secured. Step 3: Move the working end to the right, passing under - over the two sides of the loop. Step 4: Repeat steps 2 and 3 several times. 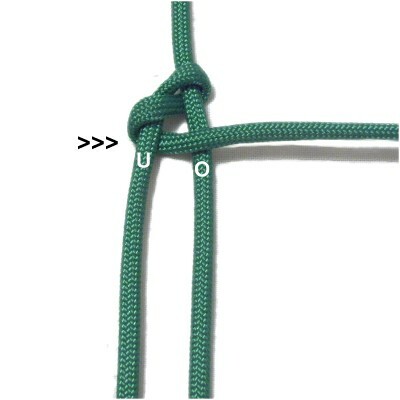 Slide the knots close together as you progress. The most challenging part of the Switchback Strap is to keep it the same width all the way to the end, so keep the loop flat and increase the tension as needed. Step 5: Continue until the working end is close to the folded area of the loop. Pull the secured end to tighten the strap. Have any comments about the Switchback Strap? Contact Me.